Have Yourself A Merry Little Book Boy | Dante Walker from The Collector & a giveaway! Have Yourself A Merry Little Book Boy | Jackson Harris from Amber House & a giveaway! 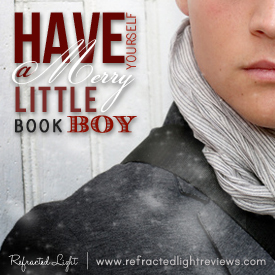 Have Yourself A Merry Little Book Boy | Oryn Larkenwood from The Faerie Guardian with a giveaway! Have Yourself A Merry Little Book Boy | Noah Hutchins from Pushing the Limits & a giveaway! Have Yourself a Merry Little Book Boy…?